"Companies that can unleash the passions and gifts of their people will have a competitive advantage in the landscape of the future--becoming curators instead of keepers of talent. This book gives readers some of the keys to cracking that code." IS YOUR HR DEPARTMENT PREPARED TO FLIP THE BIG DATA SWITCH? At every stage of the employee life cycle, a data-driven approach to HR can help companies make smarter decisions about their most important asset: their people. In the wake of the greatest shock to the labor market since the Great Depression, companies are faced with looming skill shortages, retention concerns, and questions regarding the most effective composition of their workforce. 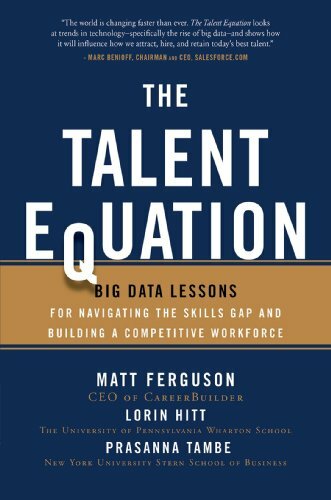 The Talent Equation shows you how to navigate today's hiring climate and drive your business forward. Matt Ferguson, CEO of CareerBuilder, offers hiring professionals and business leaders a roadmap to attract and retain top talent. 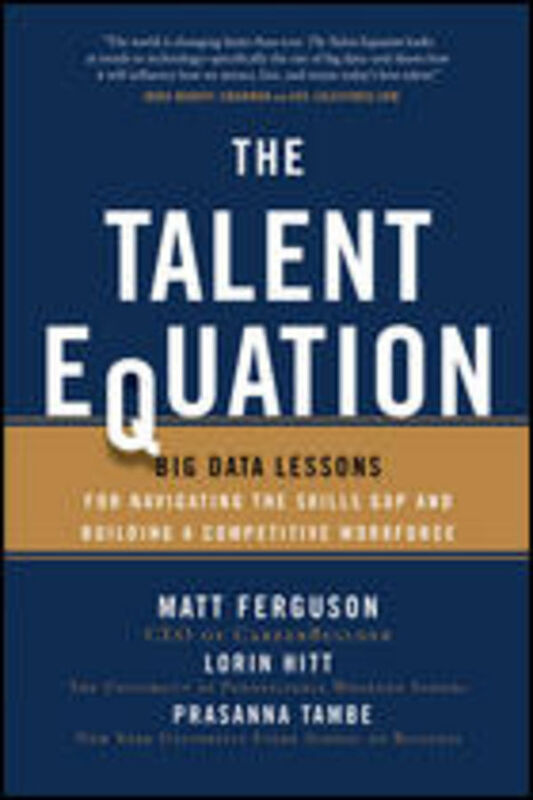 Ferguson and coauthors Lorin Hitt (Wharton School) and Prasanna Tambe (NYU's Stern School) commissioned a landmark big data study of more than 2,700 employers and 33 million resumes to find the relationship between market performance, education attainment, and employee tenure. The findings are enlightening--and quite surprising. Smart and timely, The Talent Equation also incorporates case studies from leading brands--both global and domestic--that further illustrate staffing issues facing executives today. The insights and research in the book are invaluable tools for anyone who wants to build and retain a dynamic, competitive, and productive workforce.